This Convertible Vehicle is for Volkswagen supporters the world over thirsting for a amazing prize** Fun and sporty!!! Gas miser!!! 33 MPG Hwy!! 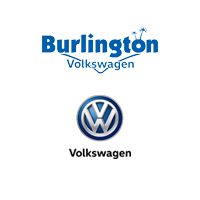 Optional equipment includes: VW Care, Chrome Exhaust Tips (Set of 2), Monster Mats w/Logo Rubber Mat Kit (Set of 4), Roadside Assistance Kit... For more information on this or any other Burlington VW vehicle go to www.burlingtonvw.com.